Decorate your sugar cookies... the easy way! 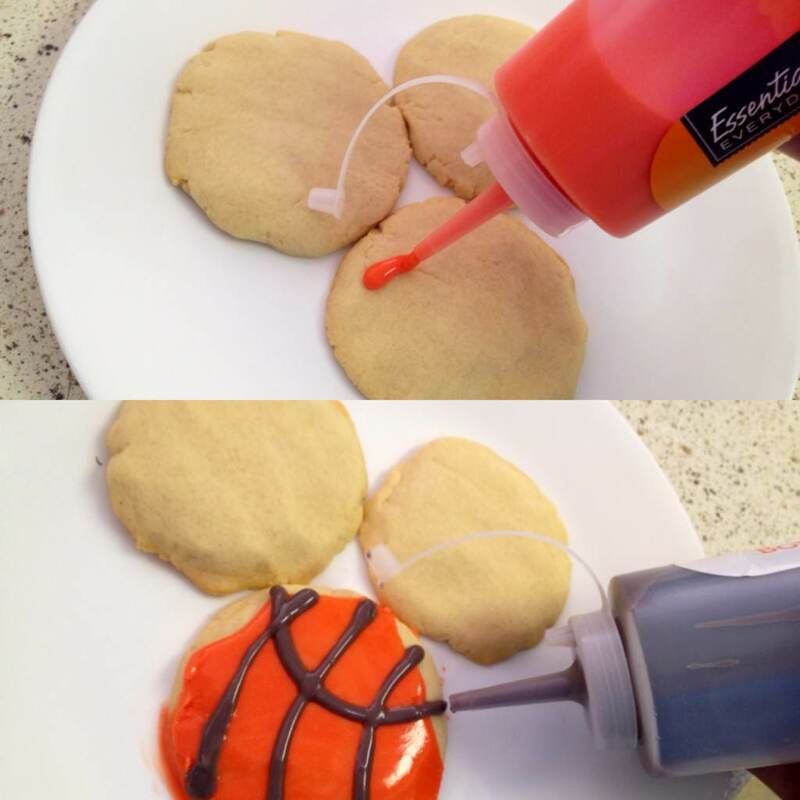 No matter what team you're rooting for during March Madness this year, every basketball fan can benefit from this awesome icing hack! Frosting and decorating cookies can be a pain. It's a messy process, and can be extremely time consuming. They never turn out quite right. Let's face it, most decorated cookies looks like a four-year-old's art project, and not the kind we see in the baker's window. 1. Less to clean up- No more getting frosting all over your hands and counter tops. Typical frosting bags and tips are not only difficult to assemble, but can succeed in making you and your kitchen a frosted mess. 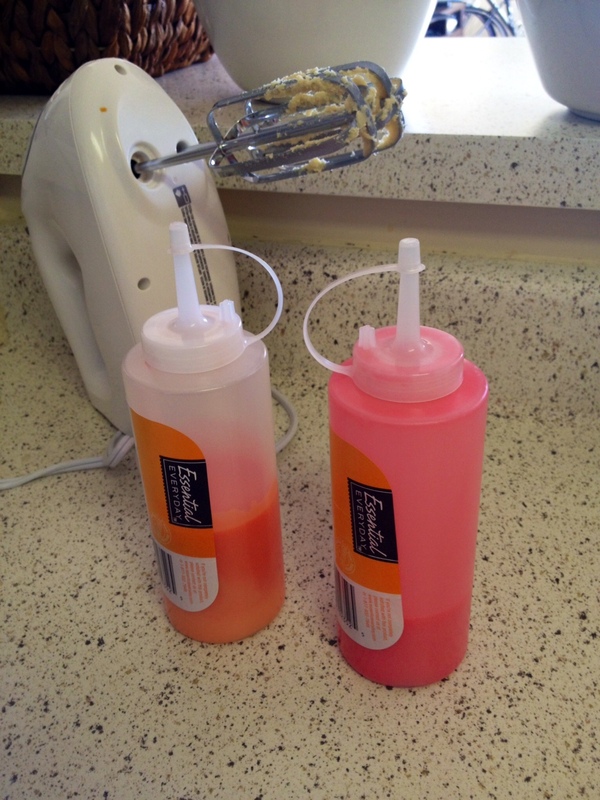 With these bottles, simply pour your frosting in without a drip, and then squeeze without a leak. 2. 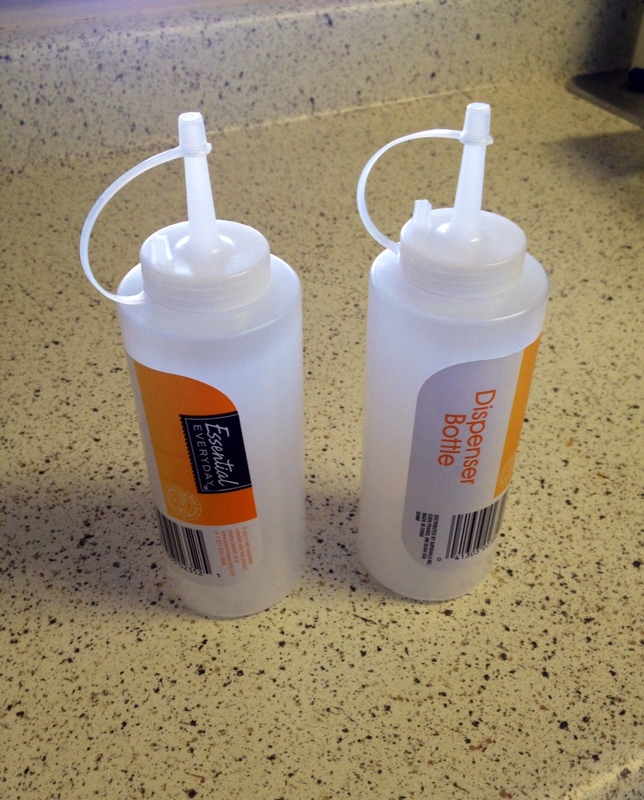 More decorating precision- Because these bottles are easy to handle and squeeze, your imagination can soar. 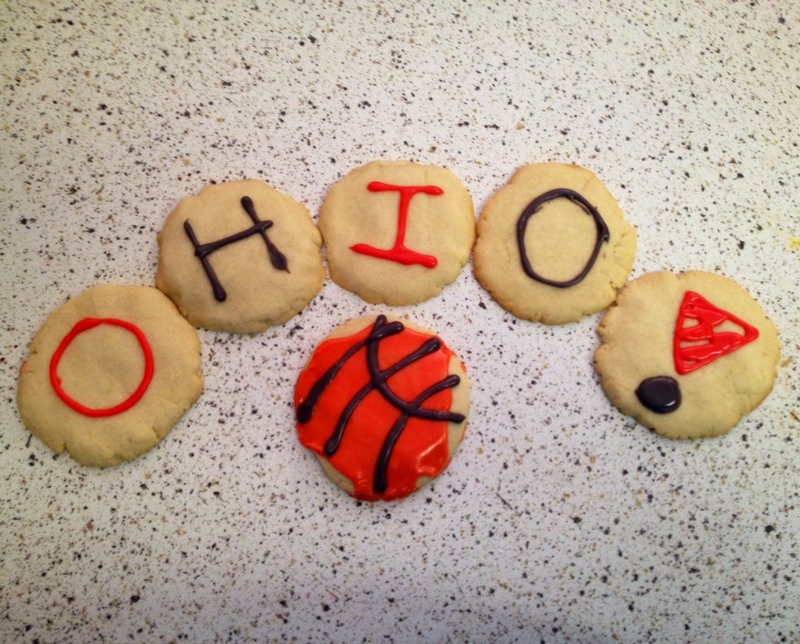 You can create clean, artistic cookie masterpieces. You can also cut the tips to be larger or smaller, depending on your preference. 3. Frosting can stay fresh for days- After completing an afternoon of cookie decorating, you can close the cap on the squeeze bottle and store the leftover frosting in the fridge. 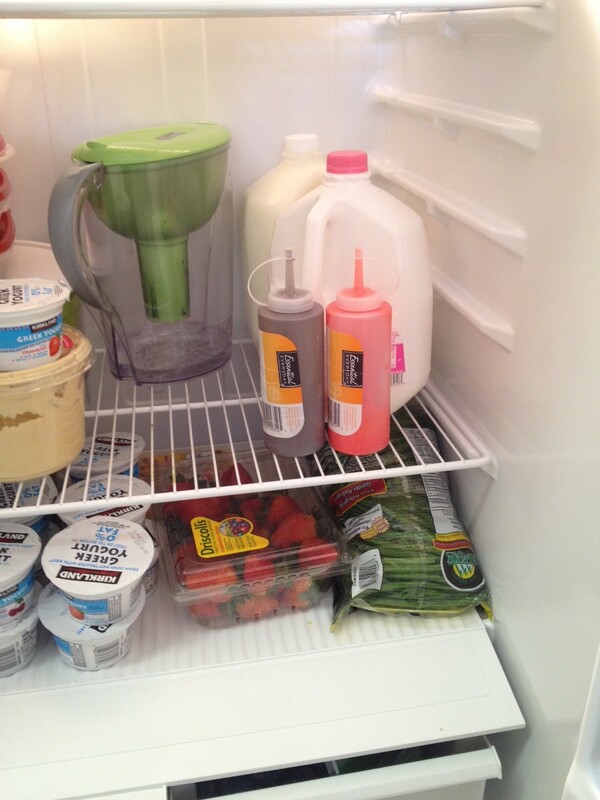 (Different bottles have lids you can twist to close as well). So, if you're looking for a quick and easy way to create some fun, decorative cookies for your friends and family, I suggest you spend the money on some inexpensive squeeze bottles. It's worth saving the sweat! And that's what kitchen remedy is all about! 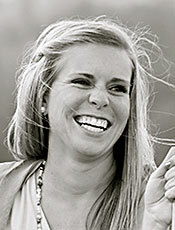 Now, the real question is… what NCAA team will inspire your creation? Whoops… looks like you know what team I'll be rooting for. Go Bucks!! !